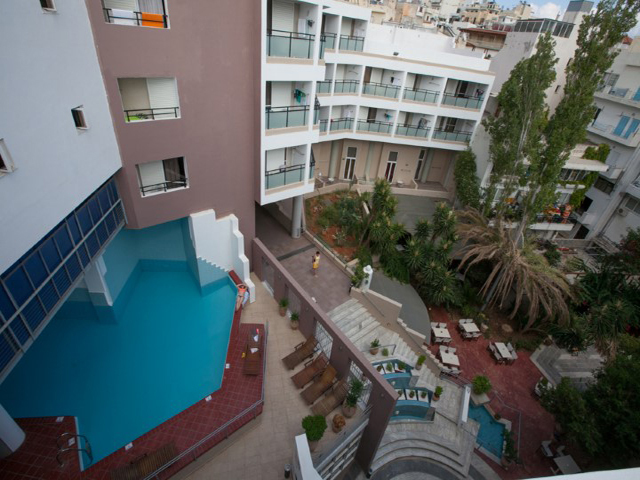 Santa Marina Hotel is situated in the heart of Ag. Nikolaos, the most beautiful city on Crete. 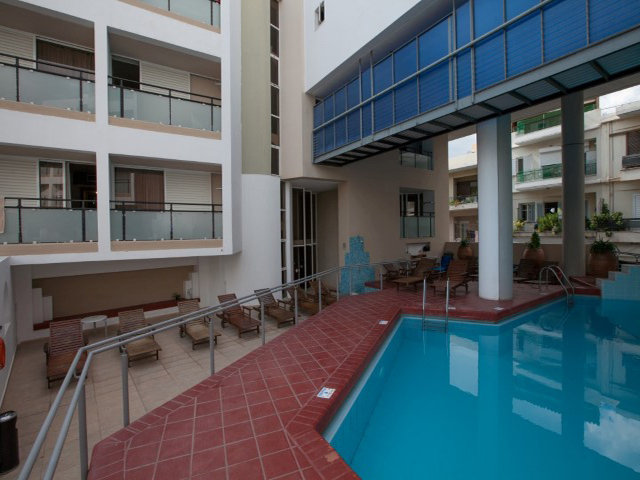 Perfect for relaxing vacation or for business trips, located at the in the center of the city, 600m away from the famous lake of Ag. 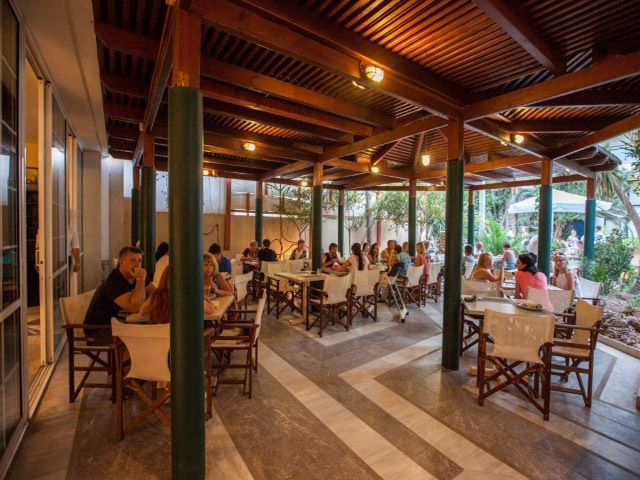 Nikolaos, and only 50m from the blue flag awarded beach of Ammos. 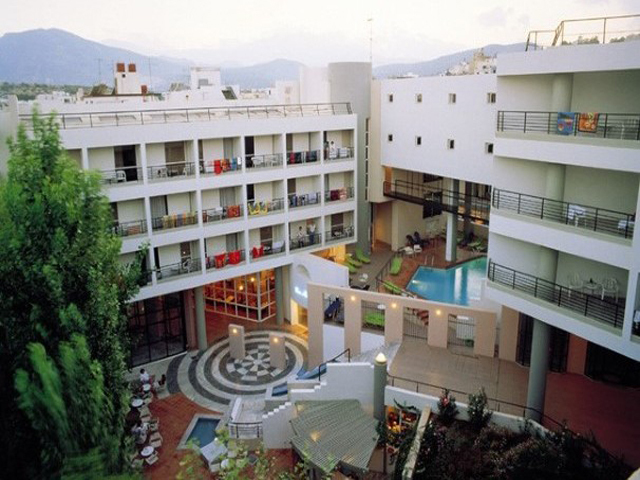 SANTA MARINA HOTEL, 3* superior , is situated in Agios Nikolaos of Crete, one of the most popular and prettiest resorts in Greece. 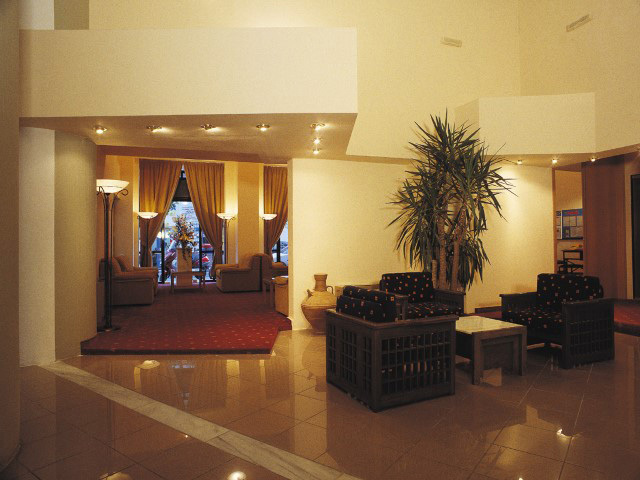 Convenient for demanding business and leisure travelers. 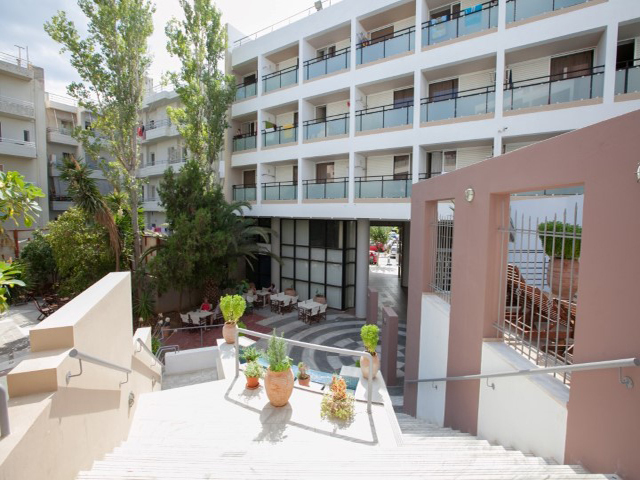 Located at a privileged position in the center of the city, only 600m away from the beautiful lake of Agios Nikolaos and only 50m from a sandy beach. 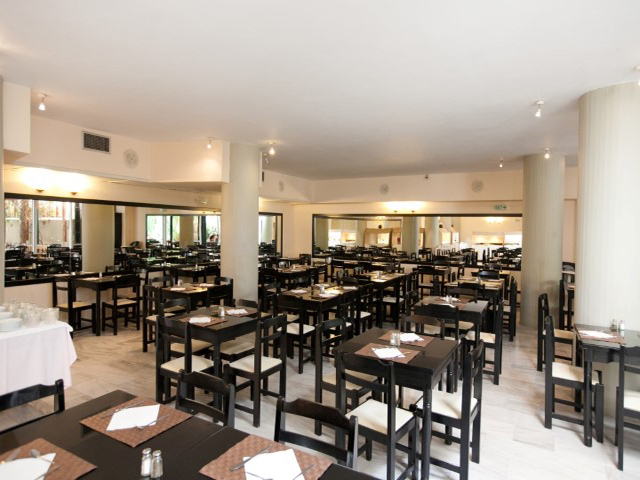 The hotel consists of 198 rooms in 2 buildings. 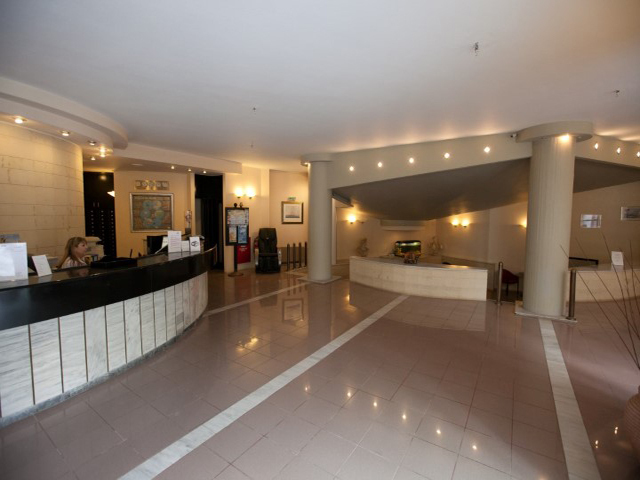 The main building consists of 126 elegant rooms, fully equipped to meet the needs of the most demanding customers. 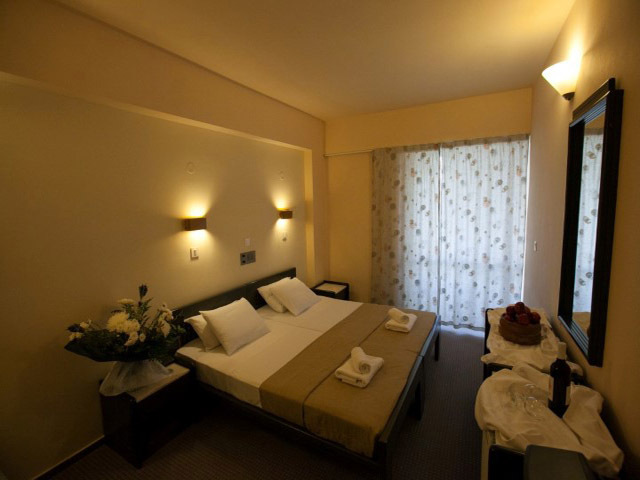 Each room is furnished with a private bathroom, 110/220 volts for razors, balcony, hairdryer, A/C centrally controlled, direct dial telephone, mini fridge, music channel and satellite TV. All rooms have free cable internet connection. In the lobby there is free WI-FI. 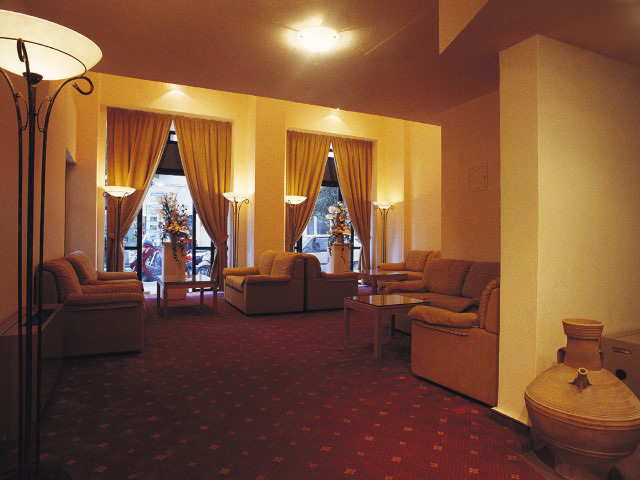 Non smoking rooms can be provided upon request. 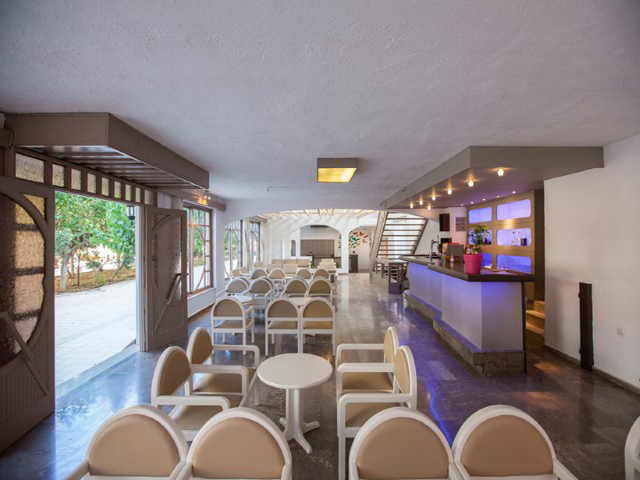 The second building, of 72 rooms, is 40 m away from the main building, opposite of the hotel , has same facilities but also individual A/C, free WI-FI, sat. 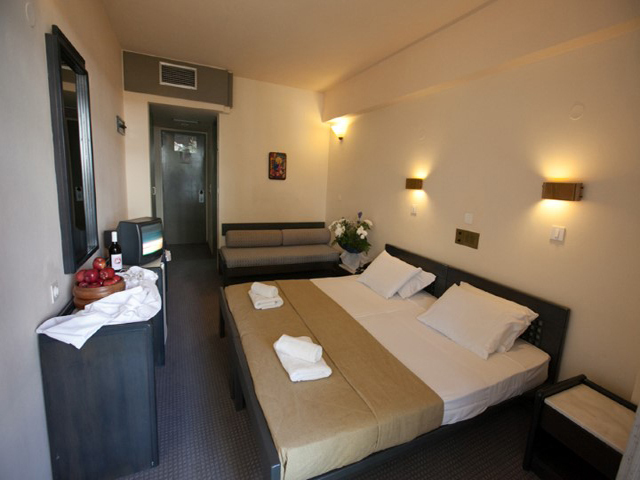 TV 32”, safe in the room, café-bar, and recently renovated modern rooms. 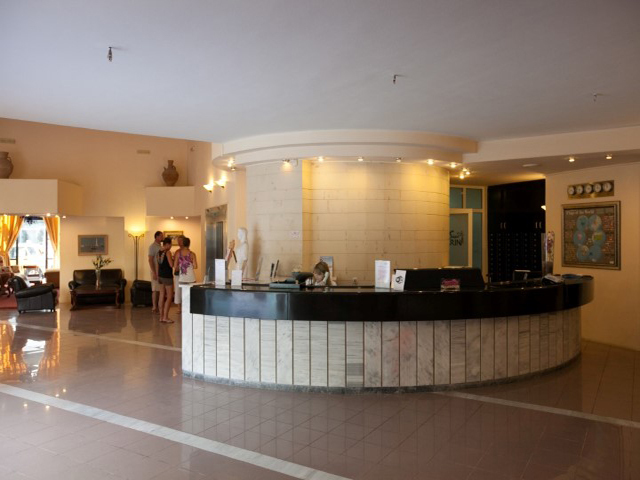 All services(reception, meals, swimming pool, main bar) are provided in the main hotel building. 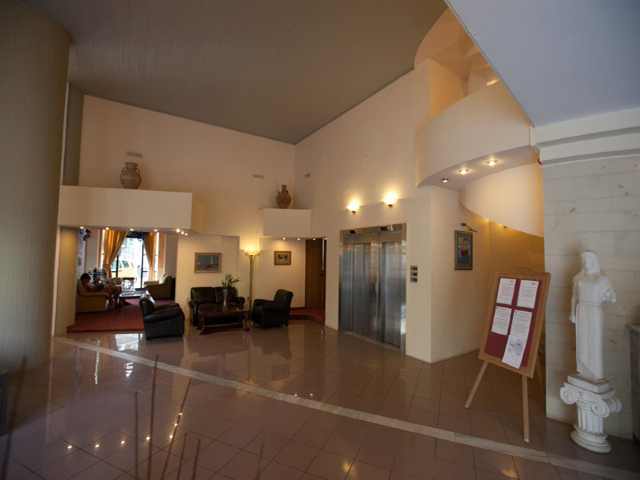 SANTA MARINA HOTEL also has a warm and elegant lobby-bar, beautiful outdoor bar, indoor & outdoor main restaurant surrounded with plants and trees, TV corner, reception lounge, safe deposit boxes at the reception (charged), internet corner (charged), playroom with various games and billiard, elevator, swimming pool and a sun terrace with sun-beds (FOC). NIKOS KAZANTZAKIS INTERNATIONAL AIRPORT: 60km. KNOSSOS PALACE: 65km. HERAKLION PORT: 60km. TOPLOU MONASTERY: 82km. AQUA PARK: 38km. CRETE AQUARIUM: 45km. RETHYMNO: 124km. CHANIA: 192km. 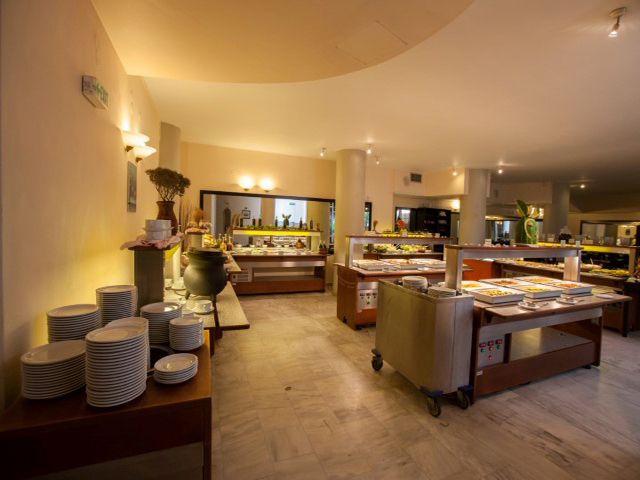 All meals are served at hotel s main restaurant: Hot/cold drinks, juices and beverages at the hotel s bar. You may have: Filter coffee, tea, hot chocolate, water in glass Refreshments: cola, sprite, orange, lemon, soda Juices: Orange, Grapefruit (from can). 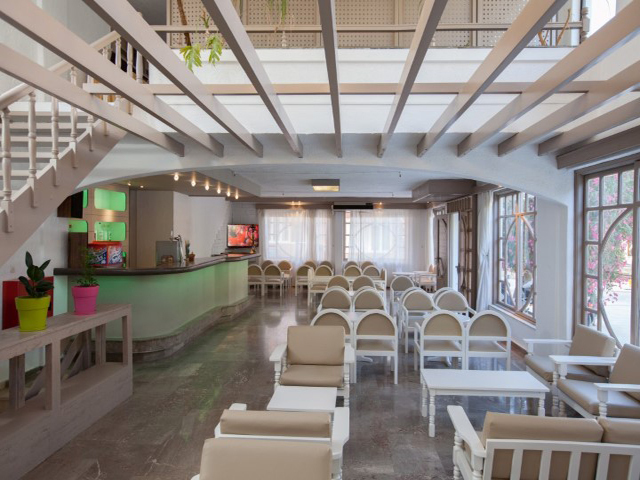 Only to guests over 18 years old: ouzo, raki, brandy, local wine (white-red), draught beer, local cocktails. 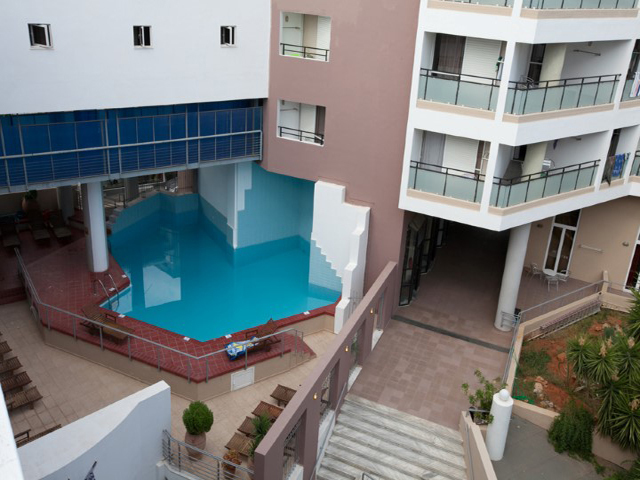 Sun beds and umbrellas are free around the pool area of the hotel. 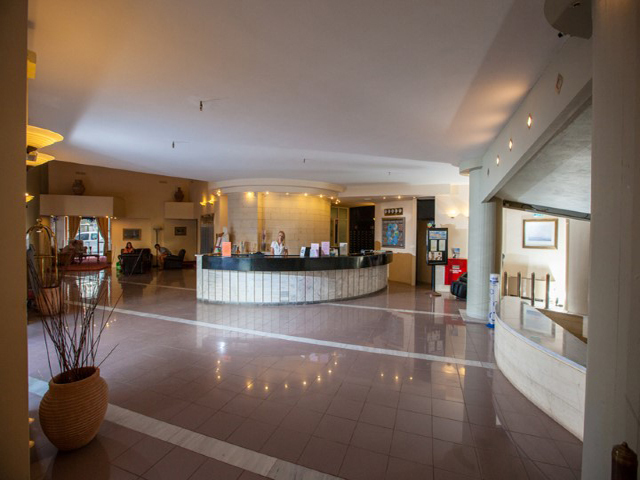 Free wi-fi at the lobby and reception area. Check out time is 12.00 and it is also the time when All Inclusive bracelet validity ends. 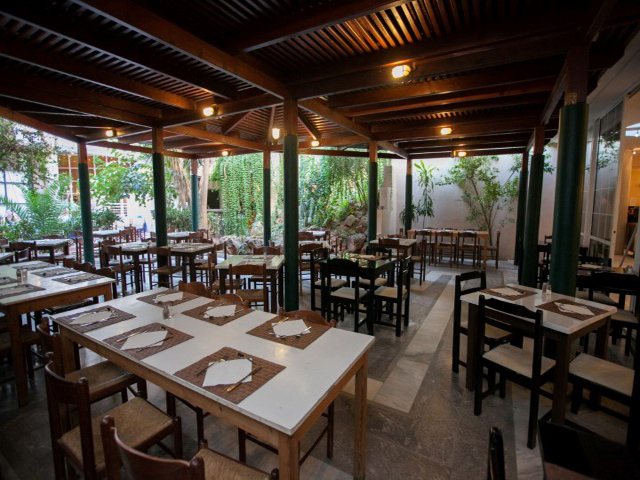 Enjoy a gastronomic experience based on Traditional Greek and Mediterranean recipes for meat lovers and vegetarians. 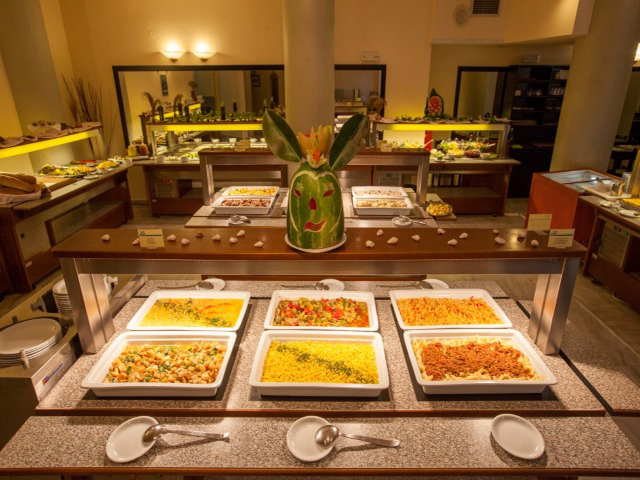 Enjoy your breakfast, lunch and dinner in our main restaurant surrounded with plants and trees on Buffet style as many times as you wish. Also, alcoholic and non –alcoholic beverages won’t leave anyone to get thirsty at all. Appropriate dress code for dinner: Gentlemen are requested to avoid short trousers, sandals or beach shoes, t-shirts without sleeves. Ladies: beach clothes. You may have: Filter coffee, tea, hot chocolate, water in glass. Refreshments: cola, sprite, orange, lemon, soda Juices: Orange, Grapefruit (from can). Local Alcohol drinks: (served by glass) Only to guests over 18 years old: ouzo, raki, brandy, local wine (white-red), draught beer, Local cocktails. 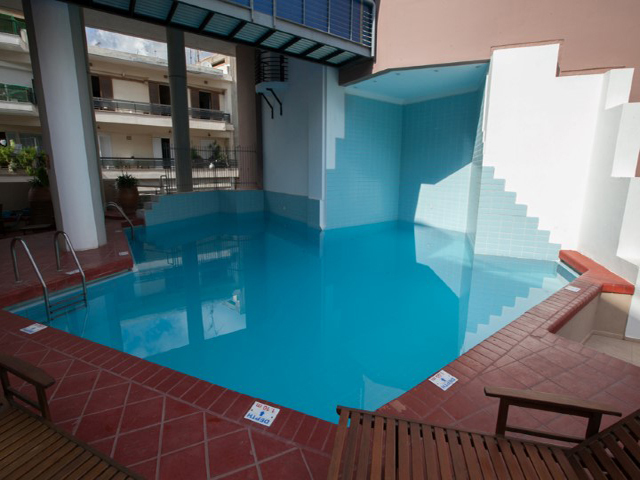 The Above special Discouted Rates are inclusive all local Taxes Services, Half Board, Bed & Breakfast and All Inclusive. 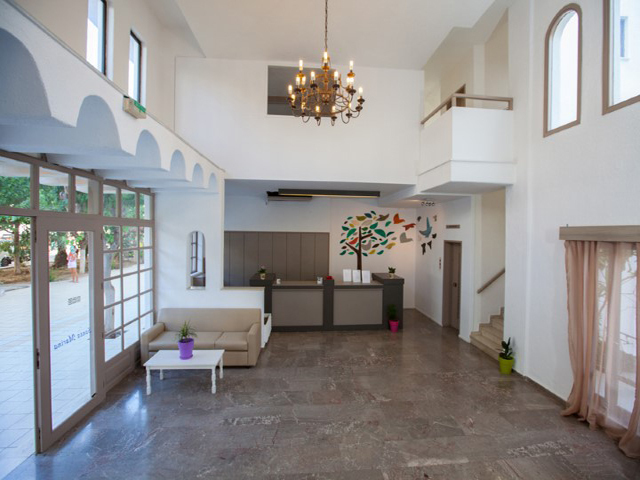 Book Early for 2019 and save up to 30% !! Till 30/04/2019 !! Book Early and Save Up 30% !! Free Cancellation !! !! BOOK NOW !! Limited Time Offer ! !